Costa Blackfin Prescription Sunglasses are the epitome of Costa innovation, technology, and design. Costa Sunglasses are made with an emphasis on being water resistant, durable, and comfortable. 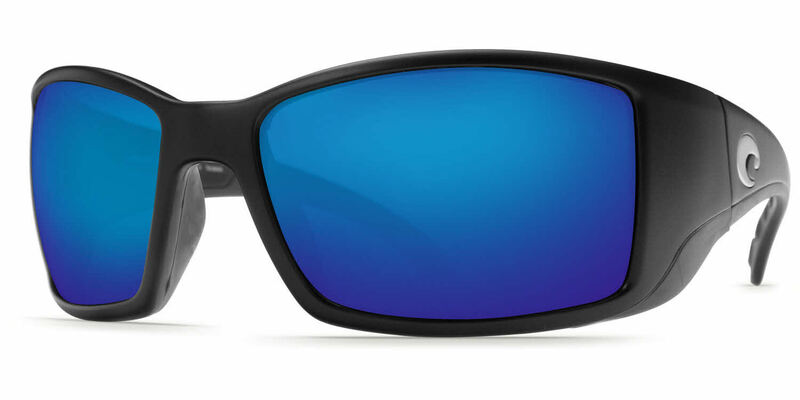 Costa Blackfin Sunglasses are made with cold-injected nylon and Hydrolite frames, which grip more when exposed to sweat and water. Costa Del Mar Blackfin frames are hand-assembled. Integral stainless steel hinges provide durability and stability. TR-90 Nylon Frame is scratch, sweat, and shatter resistant. Polarized lenses provide relief from glare that comes from water and intense sunlight. Costa Sunglasses come with Costa protective case and cleaning cloth. Best fit and excellent customer service. These are a large fit sunglass and with that comes a heavy glass lens (in the 580G). If weight is an issue perhaps try the plastic option. I will need to have these secured with a strap of some sort and you might too!